Reading progress update: I've read 100 out of 599 pages. 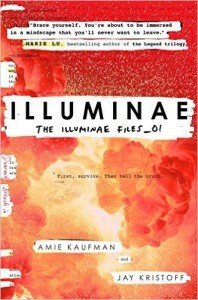 I've made it only a little bit through Illuminae, but I'm loving it!! Ezra is a mouthy little hothead and I adore him. The pace of the book is fun and the conspiracies have already started to build.